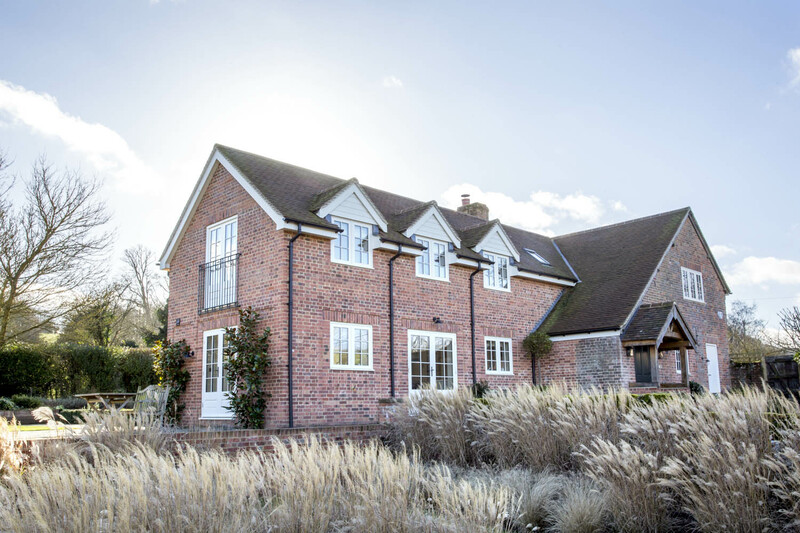 This extension is a lovely project in West Berkshire that was completed in 2017. The house has an existing two-storey extension, which was in poor condition. We achieved planning permission to rebuild this, and also increase the size. The finished extension is in keeping with the existing house, as well as the previous extension. 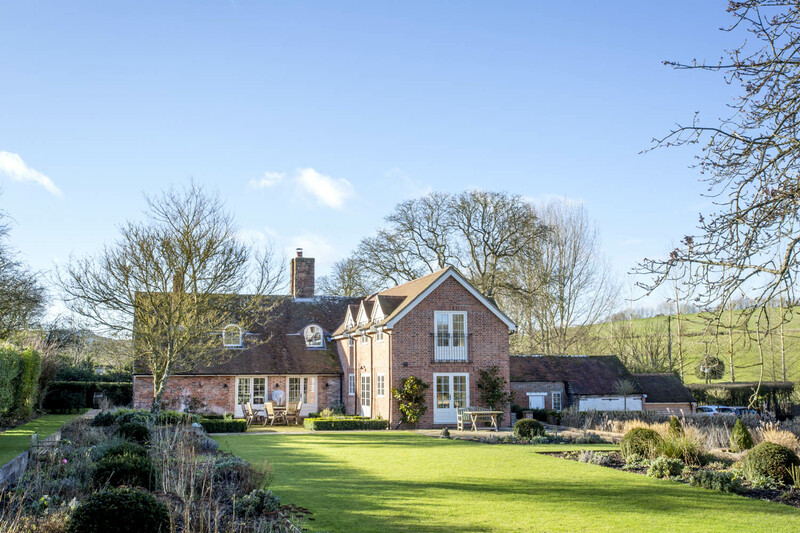 The house is outside any settlement boundaries, as well as being in the North Wessex Downs Area of Outstanding Natural Beauty, and the local Conservation Area. This project was challenging due to the house having 4 different species of bats in the roof. We overcame this by working closely with Ecologists and the Local Authority to mitigate any harm to the wildlife. 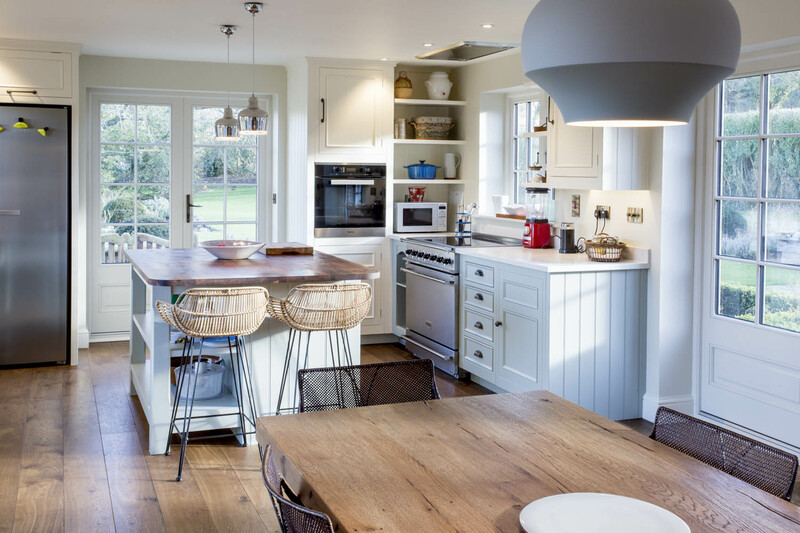 We saw through this project from planning permission to a completed house. 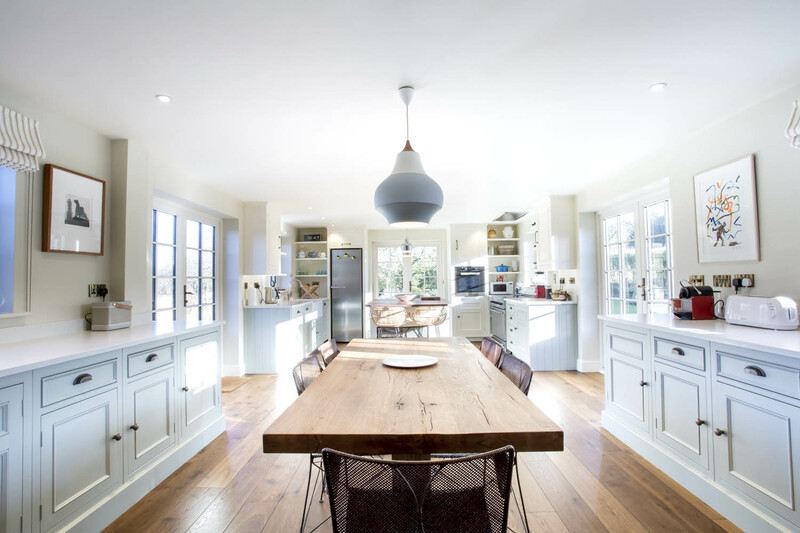 Downstairs is an open plan kitchen and dining space surrounded by windows and french doors. Upstairs is a generous master suite, with a walk through dressing room, en suite bathroom, and a Juliette balcony in the bedroom. Once built, the interiors of the whole house were also updated. 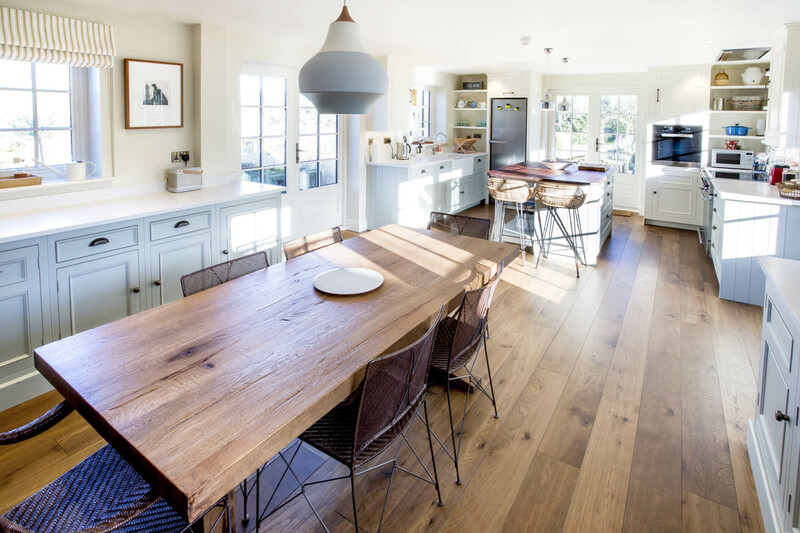 Our clients have created a bright and fresh space in the new open plan kitchen and dining room, as well as contemporary features throughout the rest of the house. The garden was also extensively landscaped, which has created a wonderful surrounding to the house. 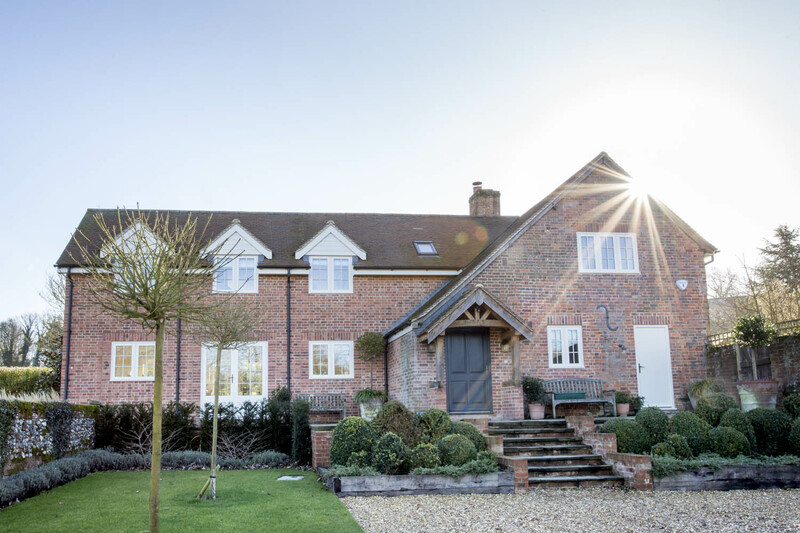 We found this a really interesting project to be involved with, and are pleased to see the house and surroundings finished to such a high standard.